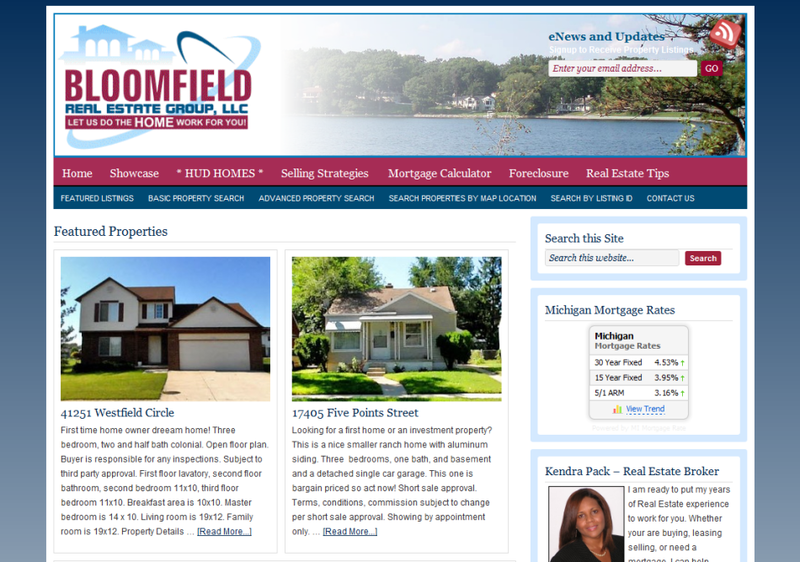 The Bloomfield Real Estate Group, LLC required an active real estate website interfaced with their MLS listings. There were two realistic choices; either using the Open Realty platform or using WordPress with the IDX Broker plugin. Considering the scale of the business and the ease of implementation, the owners decided to use IDX Broker for their site. IDX Broker is a subscription service delivering regional MLS listing data and is available to Real Estate Brokers and Agents in many areas across the United States. It is available in the Round Rock and Austin, TX area. Using WordPress with IDX Broker delivers a sharp professional website at an economical price. While the Studio Press AgentPress theme is a natural selection, other themes and layouts can be used. The AgentPress theme colors, as well as all Studio Press Themes, can be customized to compliment your corporate or business branding. Thanks. Let me know if I can be of assistance.